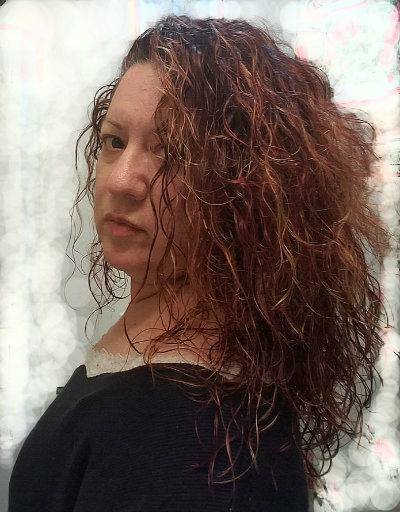 Morgan is also the author of the popular blog Booknvolume where her over 17K followers are regularly treated to Morgan’s own brand of poetry, English Sonnets, musings about life, personal recipes, photography, book reviews and more. Winner of 2016 Readers Favorite 5-Star Review & Recommendation; Winner of 2016 New Apple Award for Excellence in Fantasy; Winner of 2017 Golden Book Award for Readers Choice and Judges Selection; and Winner of 2017 Book of the Year by Fresh Lifestyle Magazine. Ayla has an especially rare combination of magical gifts: empathic telepathy, discernment, and the gift of healing. Gairynzvl was abducted by The Reviled at the age of seven and suffered the intentionally cruel process of neglect, abuse and deprivation is designed to turn childfey from the Light. Now, fifteen years later, he is a Dark One. 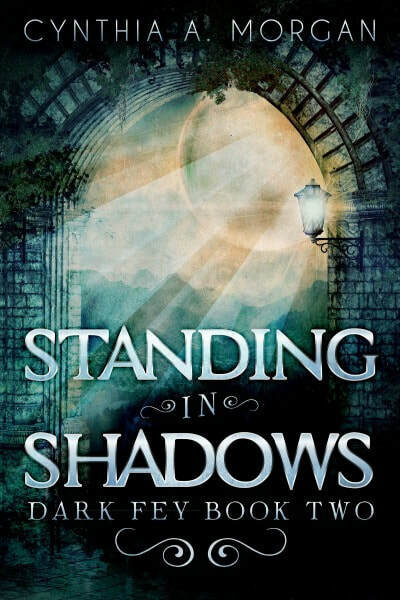 He comes in shadows and silence; lingering near Ayla and trying to communicate with her. Through her extraordinary gifts, she listens to him when no others will; she touches his pain and cannot turn aside from helping him, but the conflict with The Reviled that unfolds is exceedingly costly, pushing them to their limits and forcing them to grow beyond them. Gairynzvl risked everything to escape his captivity in the darkness. Now, despite the dangers involved and the very great risk of sparking full-scale war with the Reviled, Gairynzvl has an irrepressible need to go back into the darkness to rescue as many of the childfey trapped there as he can find. The success of his plan hinges upon the unique skills and magic of everyone who chooses to join his band of Liberators, and it will require a level of dependence upon each other for which few of them are prepared. Their actions will test all their limits, could easily divide loyalties, and will shake the foundations of everything The Fey of The Light have accepted as truth for thousands of years. Based in part on the true-life events of the Lord’s Resistance Army or LRA, a rebel militant group in Uganda that commonly abducts children and forces them to commit horrifying acts of violence against each other and their own people, Standing in Shadows reaches deeper into the darkness, but never strays entirely out of the Light. Relating a tale of both fear and hope. 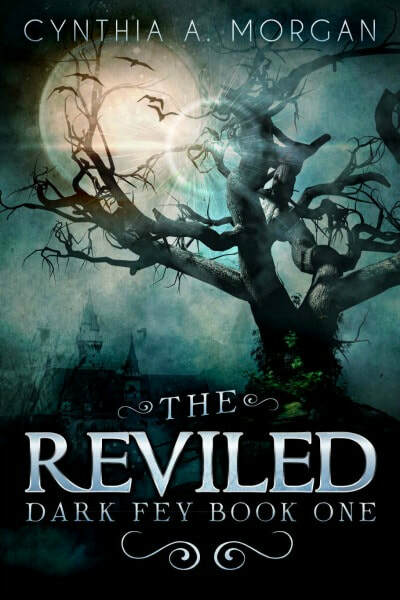 The Reviled are the enemy; merciless, untrustworthy. They embody brutality and devastation. The Fey of the Light have lived with these truths for millennia. Daring to think otherwise invites tragedy. Gairynzvl was a Reviled Fey and lived the riotous life of all Dark Ones; yet now he is rescuing younglings from the darkness. The actions taken by him and his band of Liberators are fulfilling Ancient Prophecies and proving long-accepted beliefs to be inaccurate. Those who have lived in the Light all their lives, who enjoyed the luxuries of abundance, are suddenly faced with unavoidable questions. Can Light unite with Darkness? Will the Fey of the Light sacrifice everything to achieve that which seems impossible or will they turn their heads and ignore the shadows weeping all around them? 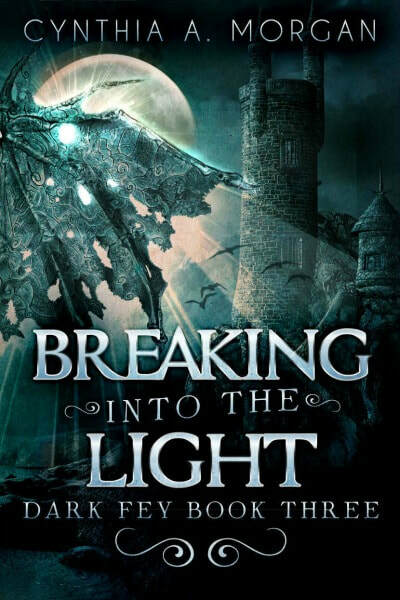 Breaking into the Light relates the inspiration of Hope and the power of forgiveness through a tale that is brutally beautiful.